Unfortunately, if you are a user of mobile Apple products, e.g. an iPad or iPhone, you cannot easily download files from your web browser to your device. The question is: why? And what can you do instead? Don’t worry, we can show you how to easily download MP3 files and others to your iPad or iPhone! If you are not using iTunes to purchase your music and other audio files, it can be quite difficult to get such files onto your device. The direct download of MP3 files like these is not supported by the mobile browsers, usually. Why Does Apple Do That? Over the past years, Apple has loosened the restrictions regarding file downloads. Yet, the iOS system is still far from being as open as Android users, for example, are used from their mobile devices. 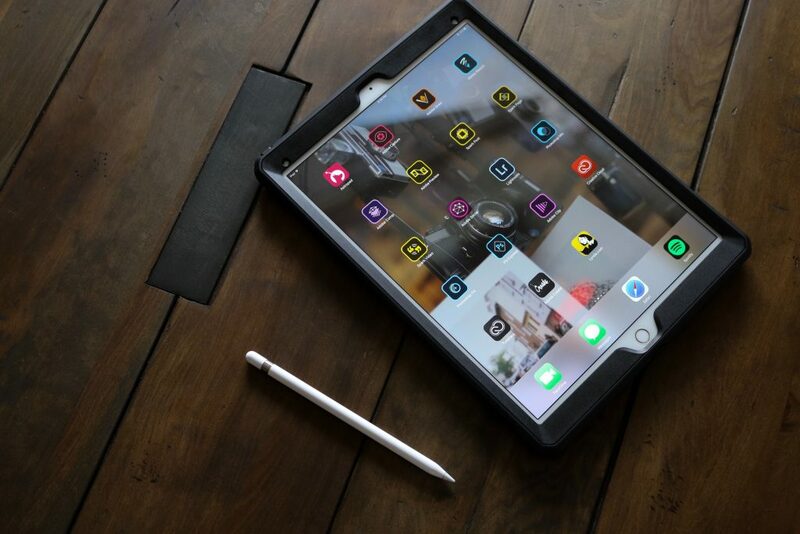 Apple put these security restrictions into place, supposedly, to protect their users from downloading malicious software or to prevent websites from automatically download dangerous files onto your iPad or iPhone. Whatever it is, that Apple “really” wants to achieve with these restrictions is not our concern. What we want to do is help you to download MP3 files (and others) despite these restrictions! 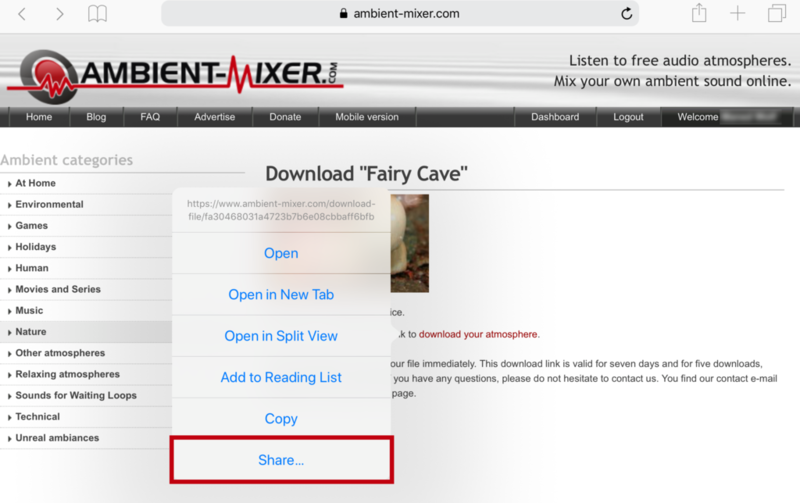 There are two different ways to download an MP3, for example, from Ambient Mixer onto your iPhone or iPad. 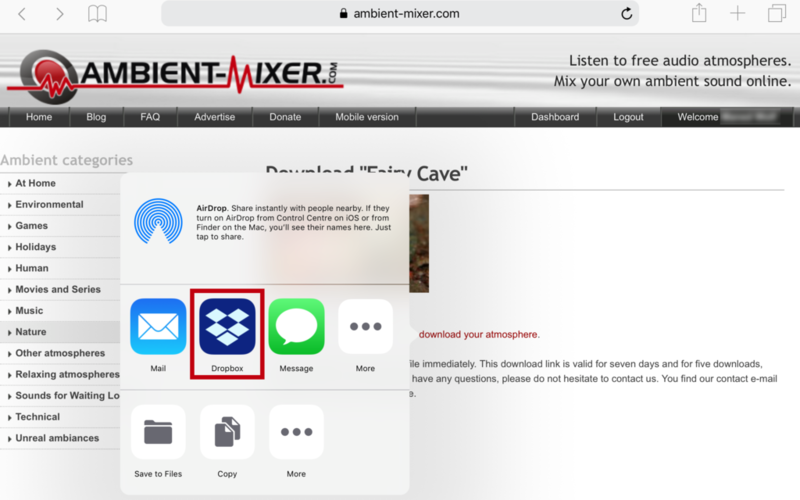 Following, we will show you how to download your ambient noise mixes as an MP3 and other files from the internet. 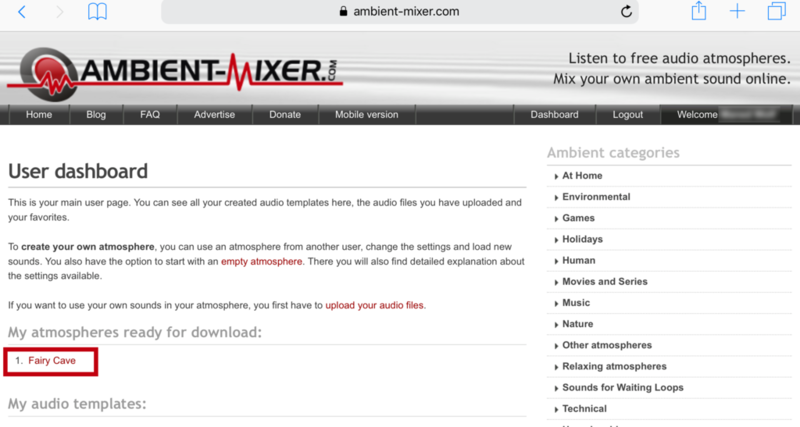 On Ambient Mixer, you can listen to many ambient noise tracks completely for free. However, if you want to listen to them offline, you can download your favorite mixes as MP3 files. When you have a free account on the website, you can see a list of the mixes you purchased in your dashboard for seven days. Thus, even though you purchased the MP3 download from your iPad or iPhone, you can go to a desktop computer and download it there. Then, if you want to listen to the ambient mix on your iPad or iPhone, you can transfer it using iTunes. Luckily, there is an app for almost anything. A practical app that can help you with the music download is Dropbox – or another cloud storage app. In order to download the MP3, press onto the download link long enough for a menu to pop up. There, choose “Share…“. Another menu will pop up that lists all apps available for sharing the MP3 file. Choose Dropbox or your cloud storage of choice and the MP3 file will be uploaded there.